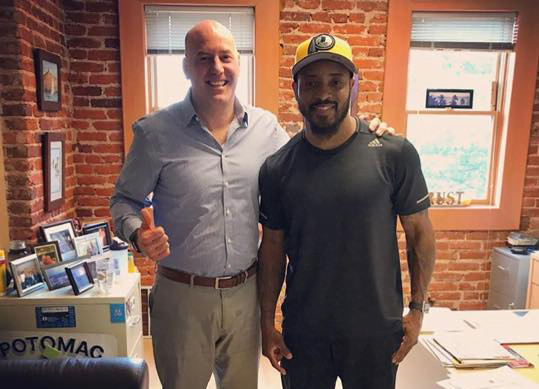 WASHINGTON DC, May 25, 2017 – Cornerstone First Financial announced today that Santana Moss has signed an endorsement deal to represent Cornerstone First Financial and their mortgage loan services. Moss will appear in multiple marketing campaigns, advertisements and promotional events as a Cornerstone First Financial ambassador. 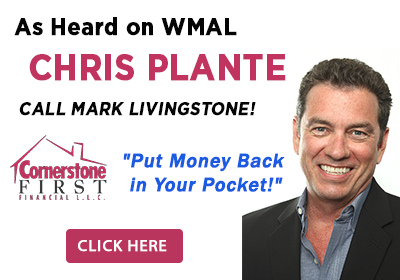 Mark Livingstone, Cornerstone First Financial President and CEO, said Thursday morning that his company’s executives and employees are very excited about the new partnership with Santana Moss in all of Cornerstone First Financial service markets. Santana Moss, is a former American football wide receiver who played in the National Football League (NFL) for fourteen seasons. He played college football for the University of Miami, where he earned All-American honors. Moss was picked by the New York Jets in the first round of the 2001 NFL Draft, where he spent 4 seasons with the team, before playing for the Washington Redskins for 10 seasons. Moss is most known in the Washington metro area as a former Washington Redskins wide receiver and all-star Pro-Bowler. Today, Santana Moss is a color commentator for the Washington Valor of the Arena Football League. Cornerstone First Financial is a leading mortgage broker in the Washington D.C. Metropolitan Area. Founded by Mark Livingstone in 2001, this Christian owned company provides residential mortgage solutions to individuals and families who want to refinance their existing mortgage or purchase a new home or investment property. 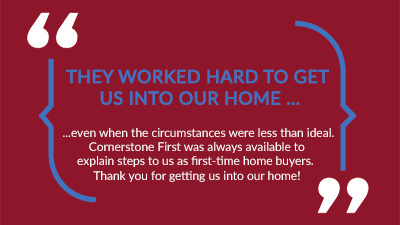 Driven by strong values, consistent work ethics, and the desire to improve lives by creating financial stability, the team at Cornerstone First are your friends in financing. Their loan officers are adept at identifying the specific financial needs of each client, whether they are a first-time home buyer or an existing homeowner wanting to consolidate debt through refinancing. They work together seamlessly with the processing department to deliver exceptional customer service throughout the entire loan process. 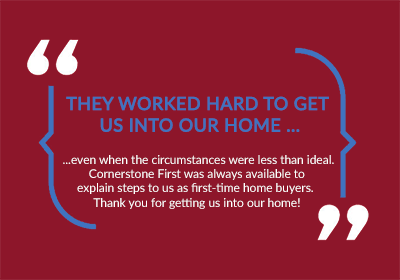 Having aligned themselves with more than thirty lending institutions to create a comprehensive portfolio of residential mortgage solutions, Cornerstone First Financial offers the most competitive loan programs and interest rates in the industry. Mark Livingstone has over 22 years of experience in the mortgage industry and has received numerous awards for his professionalism and contributions. He is a member of the Maryland Association of Mortgage Brokers, The Better Business Bureau, and the National Association of Mortgage Brokers. While he has devoted much of the past 14 years to growing his company, Cornerstone First Financial located in Washington, DC, his real passion in life is serving his community as a volunteer firefighter for the Cabin John Park Volunteer Fire Department in Bethesda, Maryland where he has been a member since 2002 and served as Treasurer for six years and currently serves as a Sergeant. Mark is a graduate of Towson State University with a degree in Criminal Justice. 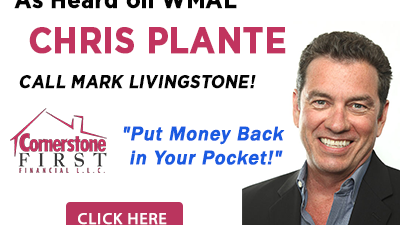 He is also a real estate investor with a portfolio of DC area investment properties. He recently completed his first large condo development in NE, Washington, DC.